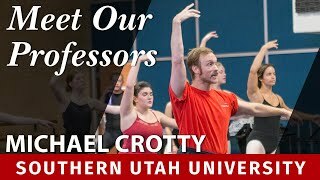 Michael Crotty is a professor of dance at Southern Utah University. As a dance artist and teacher, his interdisciplinary works explore the integration of queerness with literature through movement, text, and music. Crotty's goals is to make dance accessible to all bodies all of the time. 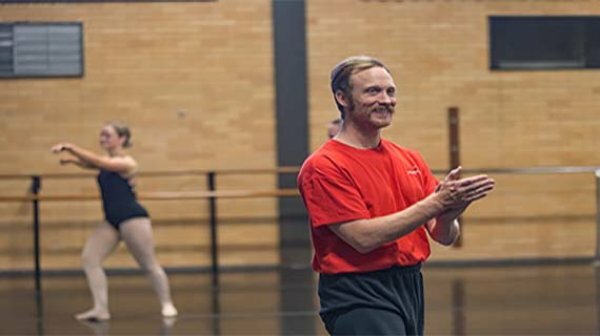 He is relentlessly seeking opportunities to critically engage students and educators in activities that integrate dance into an individual’s relevant area of interest. Crotty's work has been commissioned and produced for The Los Angeles Contemporary Dance Company, The Standard Hotel, Diavolo Dance Theater, The University of Dayton, Columbia College, the Salt Lake City Public Library, Sugar Space for the Arts, The Utah Museum of Fine Arts, The Southern Utah Museum of Art and The Los Angeles County Museum of Art. 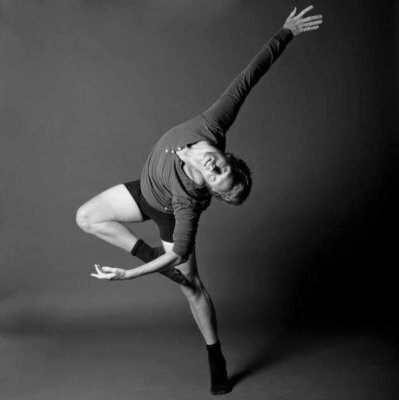 Crotty earned his bachelor of fine arts from Ohio State University and CODARTS Conservatory in the Netherlands and a master of fine arts in modern dance from the University of Utah. 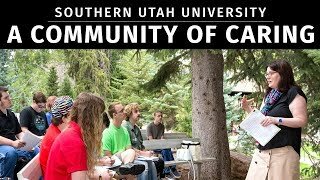 Since Graduation, I have been appointed a tenure-track faculty position at Southern Utah University. Additionally, I am the Dance Education Program Director. I continue to develop and present my choreographic and pedagogic research. I’ve been focusing on doing good outside of my respective discipline. You won’t need a ticket for the Mudson works-in-progress series from LoveDanceMore because the shows are free. The first Mudson of the fall season takes place September 15 at the Wasatch Presbyterian Church (1626 S. 1700 E., SLC) and features works by Temria Air­met, Michael Crotty, Sarah Longoria, Kat Martinez and Emma Wilson. It’s a chance to see cutting-edge dance and to hobnob with other dancers and dance fans. 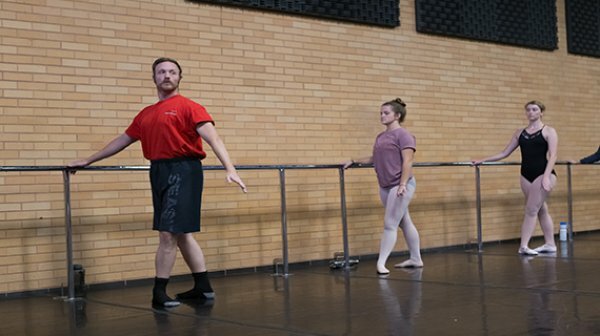 Students and faculty from the School of Dance will move the hearts, minds and, of course, the bodies of hundreds of University of Utah students this Wednesday, during Arts Bash. This annual event showcases the creativity, hard work, and innovative spirit of the different departments of the College of Fine Arts. 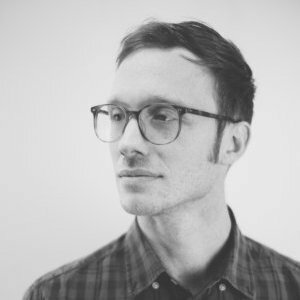 Modern Dance MFA candidate, Nick Blaylock, will kick-off the School of Dance’s performances on Wednesday, and will be followed by Modern Dance MFA candidate Michael Crotty. As 2015 slowly comes to a close, performing arts companies and spaces draw their seasons shut for the first half, and prepare for the second half to kick off in January. But there's still a handful of performances left for people to take in that aren't holiday-centric, and offer an alternative for audiences seeking a different kind of show. Tomorrow night, The Sugar Space presents Cameo, an evening of one single work created by Michael Crotty as part of their residence program, featuring performers from the University of Utah, BYU and the Ririe-Woodbury Dance Company. While other performances spaces are closing up shop for the summer, The Sugar Space is planning ahead to bring you small productions throughout those months from a variety of artists and performers. The latest addition to their lineup is Boyhood, a two-night dance experience that will kick off this Thursday, April 30. The show will feature two premiere performances: "Night with Veronica Calloway" by Ching-I Chang and "The Dead Tree" by Michael Crotty. Today we chat with Crotty about his career and creating this new work. L.A. Contemporary Dance Company artistic director Kate Hutter oversees this Urban Nut, a contemporary riff on the classic Nutcracker. An audience member is chosen at each performance to participate as Clara or Clarence, who falls asleep at a performance of The Nutcracker, only to be drawn into a dream where the traditional story takes on modern-day elements, including a colorful cast of characters and an au courant soundtrack. (Only audience members who submit their name on arrival will be recruited, so the shy need not worry.) LACDC company members Kate Andrews, Christian Beasley, Genevieve Carson, Michael Crotty, Marcello de sa Martens, Andrew Pearson, JM Rodriguez, Melissa Schade, Kim Thompson, Diana Vaden and Hutter perform and also contributed choreography. Continuing exploration of contemporary dance technique at an upper intermediate level with emphasis on more complex movement phrasing, rhythmic variation, and use of space. A conceptual and historical examination of dance as part of the human experience from its historical roots to its present status in a variety of cultures. This course is designed to provide resources and strategies to introduce creative movement into an elementary education curriculum. It will provide material for movement, organization techniques, and suggestions for guiding children through creative exploration and discoveries through movement. Enrollment by audition. Advanced study in ensemble performance. Advanced methods and theories in teaching dance in secondary schools. Organizational techniques, unit/lesson plan development and assessment will be studied. Primary focus is on practical instruction. Practical instruction in course design, including curriculum mapping, syllabus design, unit and lesson design, classroom management and practical application of teaching methods.